On Thursday 4th October we held our biggest ever Primary Cross Country event and what a beautiful day for cross-country running! 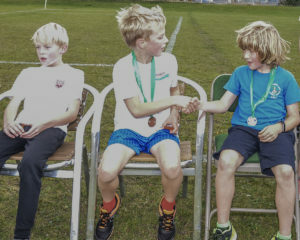 We had almost 650 athletes, from Years 3 to 6, from 24 schools across Darlington. New courses this year meant spectators and school staff could watch the athletes around the whole course as the children competed for their school. The top 10 finishers in each race gained qualification for the Darlington team at the Tees Valley (County) finals on 18th October at Stewart’s Park, Middlesbrough. Well done to each and everyone who took part; the young leaders from St Aidan’s CE Academy for providing marshalls and ‘hares’, and to Darlington Harriers & AC for their support on the day.